Choosing an e-cig for the first time is a daunting task. Not only is it important to find a vaping device that will perform well for a long time, but you also have to think about finding quality e-liquid to fill it with. In fact, the flavor of your e-cig is one of the most critical factors when it comes to enjoying your vaping experience and you'll probably spend more time searching for e-cig flavors than anything else. The sheer number of different e-cig flavors there are to choose from can be overwhelming. For instance, here at VaporFi, we pride ourselves in providing over 30,000 possible flavor combinations. And while that is clearly an improvement over the basic e-cig models that only come with a handful of bland pre-filled flavor cartridges (not to mention regular cigarettes that have virtually no flavor options), picking out a gem amidst so many options can be challenging. The best way to determine the right e-liquid for you is by asking yourself what you usually prefer. For instance, are you used to smoking regular or menthol cigarettes? Do you generally like bitter or sweet flavors? The answers to these questions are often a good place to start when experimenting with different e-cig flavors. Just because you want a smoking alternative doesn't mean you have to give up tobacco's classic taste. Tobacco-flavored e-cigs are a great way for vapers to enjoy the familiar tobacco blends they are used to, but without the actual tobacco. 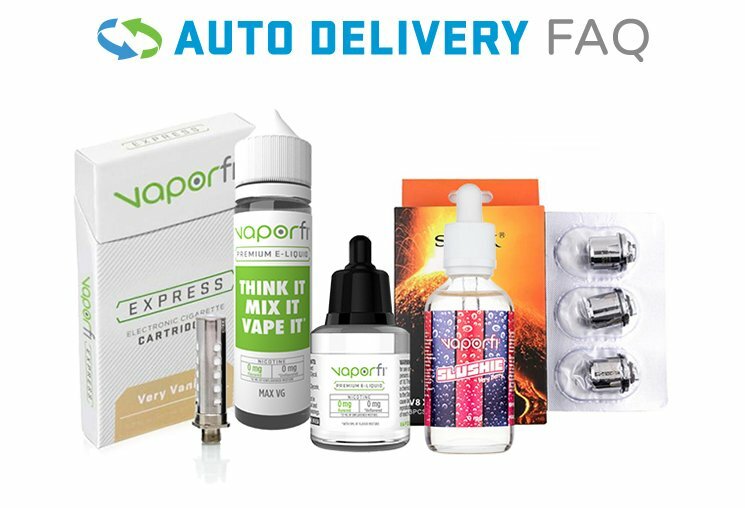 Plus, if you buy tobacco e-cig flavors from VaporFi you can choose from a variety of specific tobacco flavors, from American Red to Heavenly Clove to Simply Shisha. Dessert e-liquids are geared towards the vaper who has a bit of a sweet tooth. Many dessert flavors are made to evoke your favorite treats and indulgences. We're talking Banana Split, Cinnamon, Caramel, Chocolate Delight, Cheesecake and other savory flavors. As an added bonus, all dessert e-liquids from VaporFi are calorie-free! While fruit flavors are similar to dessert e-liquids in sweetness, they have more of a refreshing, lighter quality. In our opinion, these flavors are ideal on a hot summer day since they tend to bring to mind relaxing on a warm Caribbean beach. Fruit-flavored e-liquids can be vaped straight or mixed together to create your own fruit cocktail e-cig blend. Menthol is one of the few flavors choices that regular cigarette users have, and e-cig users do too—only better tasting and with more minty varieties. For instance, Mighty Menthol can deliver the strong, crisp blast that leaves your mouth feeling clean, or there is Fresh Mint for a naturally fresh taste. Do they all sound delicious? That's cool too. Most people like multiple flavor categories, which is why we also sell an e-liquid sampler pack that allows you to select 3 custom flavors or blends in three 10ml bottles. This is the perfect option for vapers who want to try out a small sampling of several flavors at a low cost before buying a bigger bottle. So you see, there's no need to be overwhelmed by all of the different e-cig flavors available. VaporFi makes shopping e-liquids simple. If you have any questions about finding your ideal e-cig flavor, our friendly customer support staff is happy to help. Continue browsing our blog and knowledge center to learn more, contact us by phone or email, or stop by one of our state-of-the-art vape shops in Florida, Texas, Maryland, Virginia and New Jersey today.